The goal of the Women in Economics organization is to support women pursuing a degree in economics and to introduce more undergraduate women to the field. 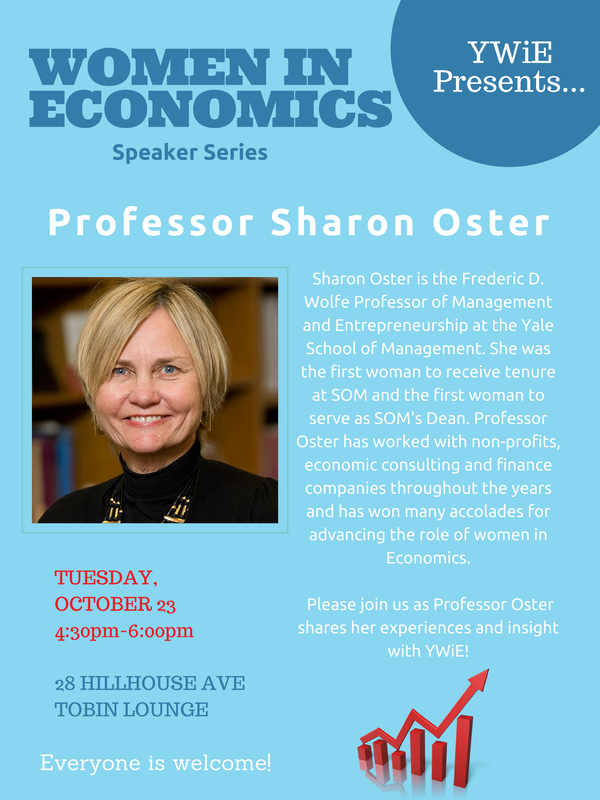 To do so, we showcase the wide variety of fields within economics; bring together undergraduates, graduate students, and faculty; and host events that celebrate the achievements of the women in the discipline. We are dedicated to building a broad, supportive, and engaged community within the department. A dedicated study space for students working on economics problem sets for any class, alone or in groups. The space is managed by Cayley Geffen and Rachel Diaz; they can be reached at cayley.geffen@yale.edu and rachel.diaz@yale.edu with any questions. "Women in Economics: A conversation with Yale Senior Trustee, Cappy Hill, ‘GRD 85"
"Economics Summer Opportunities Fair "
TEAL Classroom, 17 Hillhouse Ave.
"A Discussion with Jessica Pan"
For accessibility assistance with event papers, please contact the administrative assistant who maintains the event schedule or email the Department of Economics.